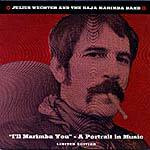 Baja Marimba Compilations on CD! 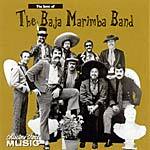 Surprisingly this is the first commercially available compilation of Baja Marimba Band music. Surprising mainly because the band's Greatest Hits and/or Foursider were overlooked for years. The sound on these tracks is excellent, but the selections are a curious assortment of cover versions, which actually take away from the band's better self-penned songs. Given the expensive price of this set and the track selections, you're better off with the Collector's Choice set, which began life as this same compilation, but replaces four of the tracks with better ones. A better compilation than Digitally Remastered Best, thanks to the substitution of four tracks for better ones. Included here is the rare 45RPM B-side "Picasso Summer." And "Maria's First Rose" has the proper title to it now. Sound quality is equal to the aforementioned disc. While the packaging suggests a "K-Tel" knockoff, this is actually a good-sounding, nicely compiled package of Baja Marimba Band favorites. An excellent companion to the Collector's Choice set above. This was a package put together by Rondor Music to showcase Wechter's songwriting talents. Of interest to collectors mainly, the sound quality on this CD is variable, many tracks being straight dubs from LPs.